At the UAP Balik Tanaw 2017 Honoring in Quezon City, National Awardee Ar. 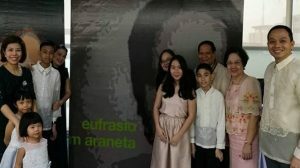 Araneta with his family and with the delegation of architects from Bohol led by UAP-Bohol President Ar. Nino Guidaben. In line with the World Day of Architecture celebration, the United Architects of the Philippines (UAP) honored UAP Fellows for their lifelong contributions to the UAP and for the individual roles they played and continue to play as lifetime achievers. UAP-Bohol President, Ar. German Janus Nino Guidaben, proudly announces that one of only four awardees nationwide comes from Bohol. 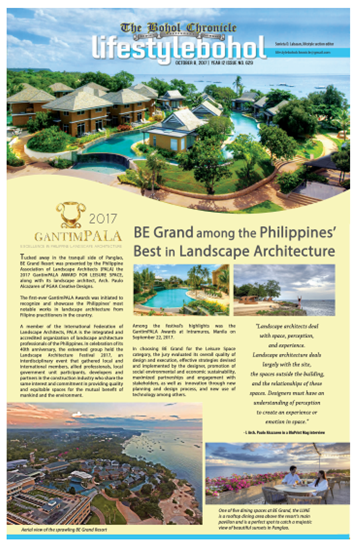 But, Architect Araneta is not just an ordinary architect nor a mere designer and builder of structures. Call him the builder of builders. He is foremost an educator who endeavored to help lay down the foundation of the architectural profession in Bohol and who made every effort to challenge and build up the young men and women who are now actively making a living in the field of design and construction.